A few weeks ago, we did a top 10 engine list, but after all of the feedback, we realized that everyone’s got a Top 10. So, here’s another perspective. From the old reliable, to the hot rod hot shot, here are 10 astonishing feats of automobile engineering that deserve to be recognized. Think we missed something? Let us know. A true factory feat of engineering, the Chrysler Hemi is an American legend. 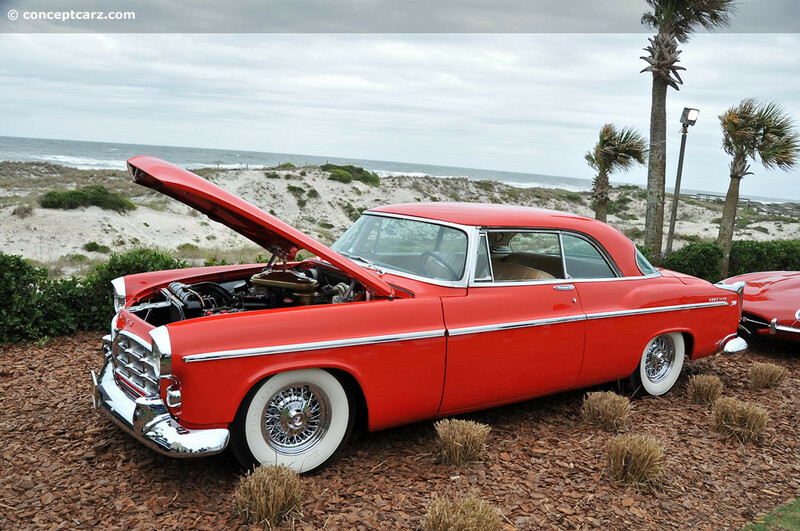 First introduced in 1955, it powered the Chrysler 300 with a 301 c.i. FirePower “Hemi V8”. Sporting a couple of massive dual quad carburetors, it was the first production car with over 300hp. What made the Hemi unique was the fully machined combustion in the shape of a half-sphere, hence the name “Hemi” for hemi-sphere. In addition to the unique combustion chamber shape, the intake and exhaust valves were also located on opposite sides of the chamber, 90 degrees to the cylinder bore axis. In order to operate all 16 intake and exhaust valves, the heads required two separate rocker shaft assemblies. This, combined with a more central spark plug location, allowed for a more efficient spark with a shorter flame travel distance. The Hemi called several Chrysler muscle cars home. The 1970 Plymouth Barracuda and ’69 Dodge Cornet could be had with a 640+hp 472ci Hemi. On November 12, 1965, two brothers, Bill and Bob Summers, set out to attempt the world land speed record on the salt flats of Bonneville Utah. The Hemi powered “Goldenrod” car reached a world record speed of 409.277 miles per hour and that record held until 1991 when it was outcompeted by yet another Hemi, at a difference of only 0.709 seconds. Reliability, running time, and application diversity play heavily for the second place finisher. 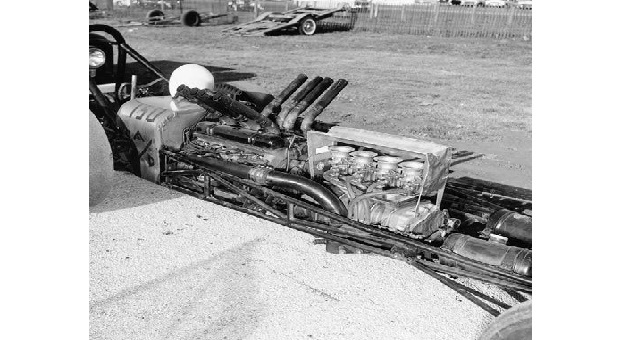 The Chevrolet Small-Block 350 powered nearly everything at one time or another. From ¾ ton to ½ ton trucks, full size sedans, wagons, vans, Chevelles, Roadmasters, Novas, Tahoes, Suburbans, Camaros and Corvettes, just about any GM vehicle could be bought or ordered with a Chevy 350. The original 350 was actually a stroked 327ci small block. The 3.48 inch stroke 327 was increased to 3.48 inches while maintaining the original 4.00 inch cylinder bore. On September 29th, 1966, the all-new top-of-the-line Chevrolet Camaro SS was powered by the first generation of the small block 350. The engine was branded the RPO L48 350ci-295hp. The base platform of the 350ci small block ran in various technological and performance configurations from 1967 until 2002 and its production legacy that is hard to follow by any other brand. Calling on the original bootleggers’ choice for modification and all fathers of the early NASCAR days, the Ford Flathead V8 has been the engine of choice for millions of hot rodders. 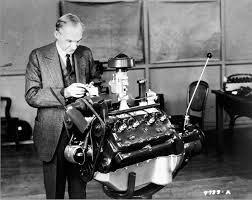 Like the small block Chevy, the Ford Flathead V8 was ahead of its time. Also commonly known as the L-head V8, the Flathead came into existence in 1932 in the throes of the Great Depression, making horsepower suddenly affordable. From farmers to bootleggers, bank robbers, and back road racers, everyone was out to make a name for themselves with the hammer down. The first power plant of its generation put out a whopping 65hp with its 221 cubic inches. The Flathead V8 was innovative for its time, and it ran from 1932 to 1953 in Ford passenger cars, but the design required the exhaust gasses to pass through the cylinders to reach the “outboard” exhaust manifolds. Unfortunately, this created a lot of heat inside the engine and lead to a common problem of block cracking. The flathead is still common among period correct hot-rod builders today, and its legacy will always live on through T-bucket, rat rod, and hot rod enthusiasts. While not as long lived as the Chevy 350, it had a huge impact on the birth of the racing and hot-rodding world. The Ford Small Block V8 has seen just as many generational changes as the Small Block Chevy, and has kept its basic platform from the age of the carbureted 289 and 302 to the fuel injected 4.6L and 5.0L engines. Aside from adjusting from the Standard to metric system, these engines still share the same soul. The Ford 221, 260, 289 and 302 engines all fall under the category of the Cleveland engine as they were produced firstly in the Cleveland plant. However, the name Ford designated for the series was the “V” family or “Fairlane” V-8. The 351 Windsor was introduced in 1969 and is the only Ford small block to bear the true “Windsor” name. In 1970 the Official 351 Cleveland was born. The Ford 289ci small block came to light in 1963. Originally it was available in two configurations. The base model two-barrel version had a compression ratio of 8.7:1 and produced 195hp and 258llbft of torque. In 1964, the intermediate performance version was available with 210hp and 300lbft of torque. It served as the desired option in the first generation of the Mustang as well as the Comet in 1964 (1/2). 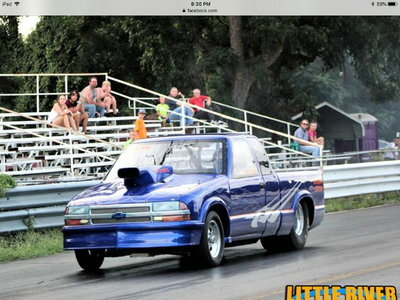 Through the next few years Ford bumped the power of the 289 with the D-code and K-code models. The HiPo version was used by Carrol Shelby for the 1965 and 1967 Shelby GT350. The ford legacy during this time was also unique because the Shelby came optional with a Paxton Supercharger for the 289 GT350 model. More noteworthy is the Ford 302 small block. It dominated the Le Mans 24hr race for two consecutive years. The 302 Boss motor was a performance variation on the Windsor that would eventually become the Cleveland. The heavy-duty four-bolt main Windsor block produced 290hp. 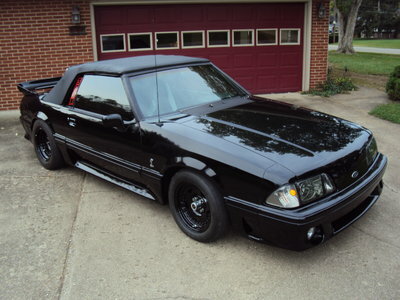 Skipping forward to 1985, for the first time Ford began to produce a 5.0L Mustang with a roller cam block. The factory roller components are what make this engine special. In 1985 the engine received an upgraded roller tappet camshaft and factory headers. In 1986 carbureted form changed to a multi-port fuel injection system. In 1991 ford produced their first 4.6L fuel injected modular engine, which came standard with the Mustang in 1996. So why is all of this important? Well, despite so much technological advancement and change the basis of these engines and their displacement stayed the same. 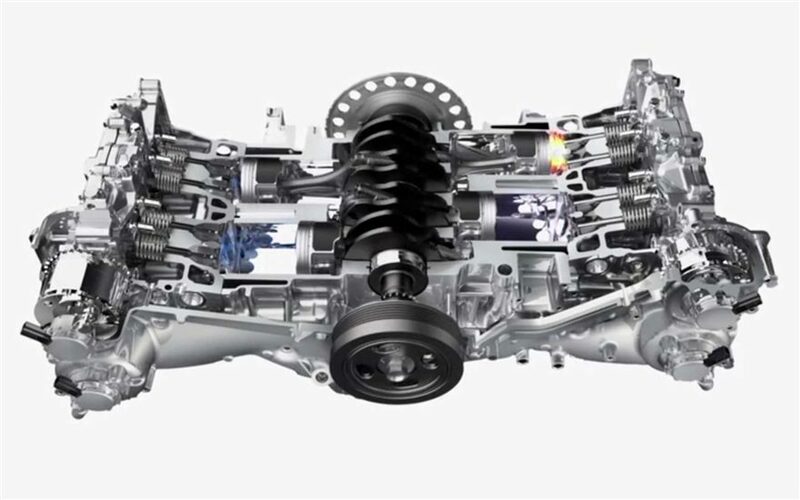 What sets Ford apart, is their constant attempt to improve the design of their engine on an almost yearly basis. The same block design underwent dozens of technological and internal changes in order to be what it is today, and that is what makes the Ford Small block special. The LS is the most recent generation of GM engines. The first generation began production in the 1997 Corvette. It put out 345hp and 350 lbft of torque. This engine stayed in the Corvette from 1997 to 2004, and in the F-Body Camaro and Trans Am from 1998 to 2002 where it produced slightly less power. The LS engine is still in use today in GM models and its application has spread worldwide. It finds a welcome home in the Corvette, Firebird, and Trans Am. In Australia the Holden GM equivalents all utilize LS engine power plants. The blocks were cast aluminum in car and light SUV applications and Iron for most truck applications. The LS’s design far exceeded the performance capabilities of the previous generation of Chevy small blocks. It eliminated the need for a distributor and utilized a coil-near-plug ignition. The Cylinder heads were updated from a five-bolt to a square four- bolt design cylinder head reminiscent of the 1964-1990 Oldsmobile V8. The LS1-LS7, LQ9 and L33 are built with flat-topped pistons, while the LS9 and LQ4 truck engines received a dished Hypereutectic GM Piston. 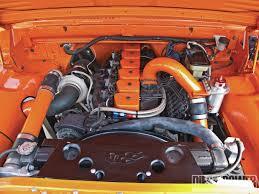 In addition the firing order of the LS series was changed to duplicate other modern V8 manufacturers. 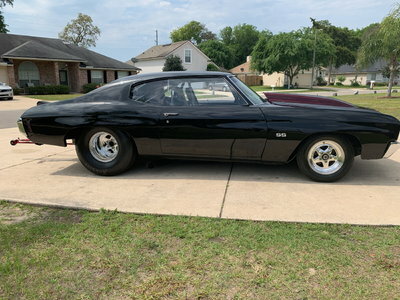 The LS continues to receive upgrades as a GM production engine and is a favorite among hotrod enthusiasts looking for a fuel injection swap for their project. LS crate engines are some of the most powerful on the market today and will likely remain popular among gear-heads for years to come. Number 6 on the list goes to a well know American staple of decent power and extreme reliability. The Buick 3.8 Liter V6 supercharged and NA motors were some of the most reliable engines ever produced, and certainly Buick’s most reliable engine. It made Ward’s “10 Best Engines of the 20th Century” list multiple times. The first 3.8L model appeared in 1984. There were two configurations throughout most of the ‘80’s both front-wheel-drive applications. The LG2 Model was the first and ran until 1986. The LG3 model was slightly updated with the addition of a roller camshaft and lifters. The most performance driven configuration of this engine first appeared in 1996. 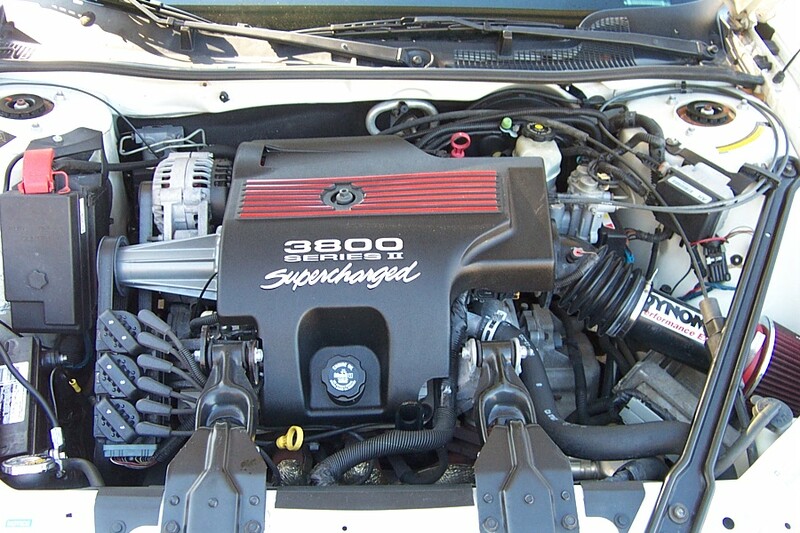 The L67 Supercharged 3.8L 3800 series utilized an Eaton Generation III M90 supercharger fitted with a 3.8-inch pulley. For the supercharged application, the top of the engine was fitted with a better flowing intake manifold and cylinder heads than previous years. 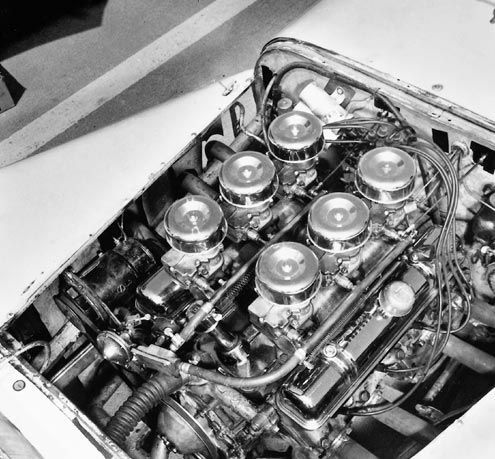 The L67 had a compression ratio of 8.5:1 producing 240hp and 280lbft of torque, however it is speculated that GM underrated the engine output for so-called reliability purposes. The 3800 series was cheap, easy to modify, and extraordinarily reliable during an era where most American cars flopped in on the exact opposite of all those spectrums. As muscle car and hot rod enthusiasts, Detroit made-in-AmericaV8s will always be closest to our hearts. However, legendary feats of engineering also hail from across the pond. For an engine ahead of its time, and a legacy that has spanned the length of many decades, the Subaru boxer engine’s legacy is undeniable. Born from the mind of chief engineer Shinroku Momose, the Boxer engine began its automotive production legacy in 1966. The Boxer design was unique because its pistons did not operate vertically. Instead, they opposed each other from the crankshaft moving towards each horizontally much like “boxers throwing punches”. Because the Boxer design allows for perfect balance, there is no need for a balance shaft or counterweights on the crankshaft. The engine gained its advantage around corners on both the street and track. Its low center of gravity and the flat horizontal shape of the engine afforded it better stability thus resulting in better handling. The production cost of the Boxer engine was relatively high and only two companies in the world currently produce it today. Subaru has been producing the boxer engine for more than 40 years, while Porsche was been utilizing their 6cyl variation of the Boxer design since 1964. Lesser known today, the Porsche AG Flat-6 was Porches’ original design for the Boxer engine while, Subaru’s variation was one of the first mass production to use aluminum alloy for the block. The end result was an engine about half the weight of other inline 4 engines of its time. At the time of its introduction in 1966, it was a groundbreaking concept and has maintained its reputation for over 45 years. In 2008 The EJ25 Turbo Charged 2.5l Boxer engine was awarded the “International Engine of the Year” award. Just this year, a 2015 Subaru WRX STI set a new course record on the infamous Isle of Man TT course. Former Rally champion Mark Higgins completed the 37.8 mile course in just 19 minutes and 26 seconds at an average speed of 116mph. All of this was achieved with the 305hp 2.5L Boxer engine that every other production model STI came with. Number 8 on the list steps even further out of the traditional realm of hot-rodding. This engine doesn’t even burn gasoline, but the 12 valve Cummins Turbo diesel can run off of just about anything. From transmission fluid, used motor oil, and hydraulic fluid to vegetable oil, peanut oil, plain old Crisco and forehead grease, there isn’t a lot this old coal belching generator transplant can’t choke down. It’s all made possible by the almost completely mechanical nature of the engine. The fuel pump, injection pump, timing, and pretty much all other aspects of the motor excusing the alternator and throttle position sensor were mechanical. The P7100 injection pump that called the Cummins home is hailed as the strongest and most reliable injection pump ever built. The internals of the 5.9L inline 6 diesel engines are all forged iron and steel with the exception of aluminum pistons. Many of these engines have been known to reach over 1,000,000 miles on the odometer without a rebuild, and the factory rotating assembly is strong enough to handle around 1,000-horse power on a very very streetable application. Some owners even claim to have reached over 3million miles without a rebuild. Car builders have been known to swap this engine into their A-body muscle car projects and 4×4 projects. Others take this engine out of its original frame, and swap it into brand new models Ford and Chevrolet ¾ ton trucks. The 12 valve Cummins never produced more than 186hp from the factory and 420ftlb of torque, but with a screwdriver, a grinder, a brass fitting from your local ACE hardware, you could change that number to around 250hp and 700lbft of torque. The engine production ran from 1989 to 1997.5. In 1998 ¾ ton dodge replaced the mechanical 12 valve engine with an electronically fueled and regulated 24 valve 5.9L Cummins. This engine was built with powdered instead of forged components and to this day no modern diesel engine has been able to match the Cummins 12 valve for durability or longevity. The 8 Cylinder Nailhead come to the American people in 1953 in the form of a 322ci 164hp to 188hp V8. What made the Nailhead unique was its relatively small size and weight compared to its displacement. The Nailhead was a favorite among hot-rodder’s because its narrow design allowed it to be easily swapped into lighter cars with smaller engine bays. So why doesn’t the Nailhead deserve higher on the list? Well the odd exhaust valve angle and the requirement of very small valves, even smaller than engines with less displacement. The early Nailheads possessed a 1.75 inch intake and 1.25 inch exhaust valve. While this could have been scene as a shortcoming, the compromise was comparably more torque. Buick tried a number of different carburetor combinations to make the increase the engine’s performance, and many hot-rodders overcame the small port issue with supercharging. This didn’t harm its reputation by much though because the Nailhead produced more than one ft. lb. of torque per cubic inch. In the final years of the Nailhead’s life it grew substantially. The 425ci Buick was released in 1963. The design was odd, but worked in its own way to give the consumer what it wanted. They had radical cams for the time and even after the Nailhead finished its run, Buick continued its legacy of torque over horsepower. While the Nailhead does not share many internal commonalities with the small blocks that came after it, but before the small block Chevy ruled, the Nailhead was the champion torque and will always bee remembered by its fans. Number ten on the list takes another hop across the pond to Japan. The Toyota 4AGE Inline – 4 was extremely technologically advanced for its time. The engine utilized twin-cams, which produced decent torque and good fuel economy. 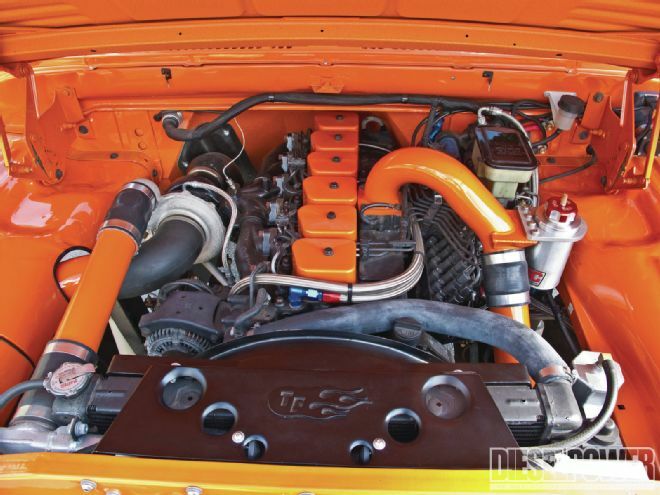 The engine was popular among import enthusiasts when implanted in the 1980’s Corolla and Sprinter. The piston speed of the motor was almost identical to that of the Porche 944 of the time. While the 4AGE was not an American engine, it copied a lot form Ford’s Cosworth BDA engine. 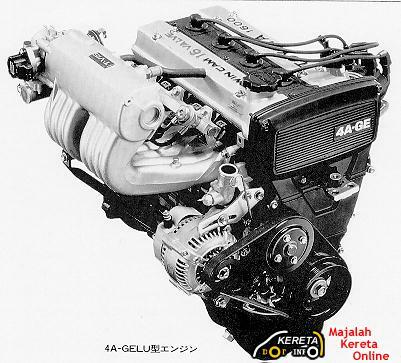 The development of the engine began in the 1970s in the hopes of replacing Toyota’s K series engine. It was one of the first to try and combine power, fuel efficiency, and low emissions. It was also the first mass production Dual Overhead Camshaft four-valve-per-cylinder engine. The engine ran for decades under various generation and name changes, and is one of the main factors powering Toyota’s reputation for reliability that still exists today. The Fire Power (Gen 1) Hemi was never offered in a 301″ configuration: It was available in 331 and 354 versions (and later in a raised block 392 CID version). The lower cost Spitfire (polyspherical headed) V-8 could be had in 301, 331 and 354 configurations. 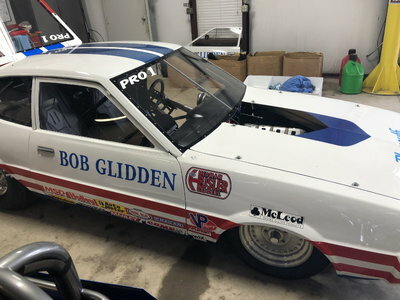 The 301″ Hemi was a Hot Rodder mix used to find a class advantage in racing (both Dry Lakes and Indianapolis – before the Hemi was loaded with “disadvantages” to offset its power advantage). As the Spitfire V-8 Polyspherical Headed V-8 used the EXACT same block as the Fire Power Hemis, enterprising hotrodders took Hemi heads from a Firepower and placed them on a Spitfire Block. ford big block 332-428 ci. should be on this list.they were excelent engines and reliable. i owned many amc engines 290-401 ci. 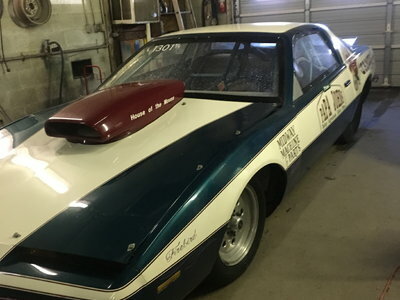 we ran them in dragracing for many years and they performed well on dragstrips and were also reliable.chrysler made a mistake when they bought amc and quit using these engines.